Akdeniz University Journal of Economics & Administrative Sciences is a peer reviewed journal; that covers social sciences in general and more specifically focues on economics and administrative sciences. The Journal gives place to the writings; particularly specific articles based on research as well as other types of articles, such as reports, essays, conference notes, case studies, book reviews, etc. in every volume. In this context, the Journal is open to the articles from the areas of economics, business, public administration, political sciences, international relations and public finance and if relevant to these areas, from the disciplines of philosophy, psychology, sociology, law and communication. The authors can contribute with studies prepared in Turkish, English, French and German languages in accordance with the Publication Guidelines of the Journal. The Journal is published biannually in May and November. 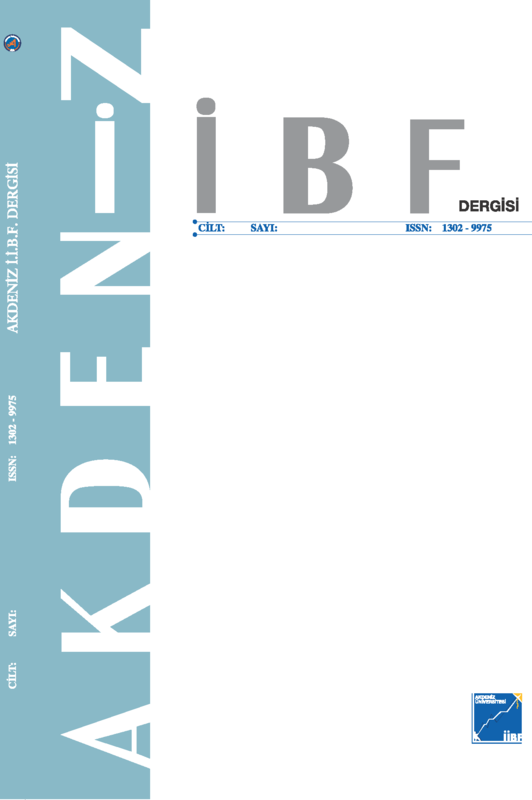 The Journal is owned by the Faculty of Economics and Administrative Sciences, Akdeniz University and managed by the Editorial Board. The views expressed in the articles published in the Journal are those of the authors; namely they are not binding on the Journal. Any citation and quotation may be made from the articles included in the Journal only with reference to the source.